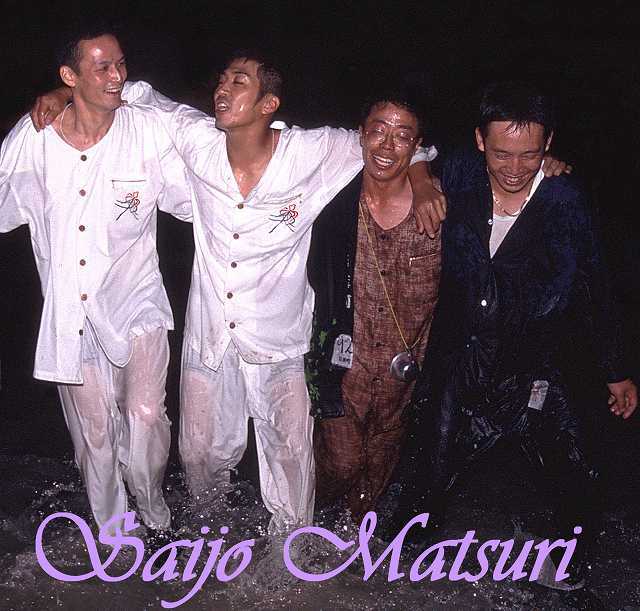 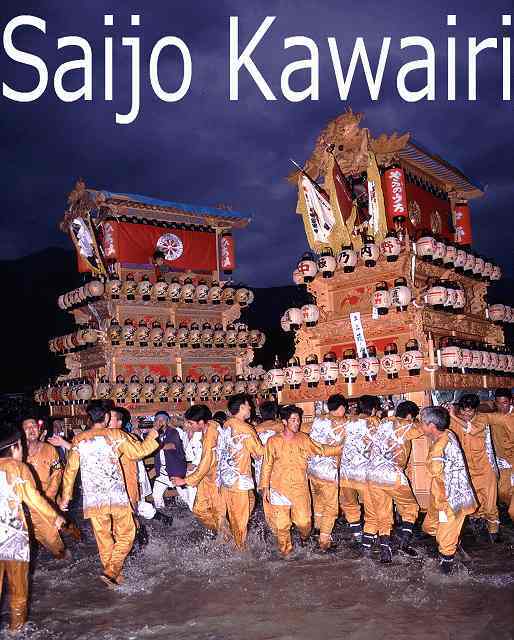 The autumn festival of Saijo is dedicated to the shrines of Kamo, Iwaoka, Isono and Izumi. 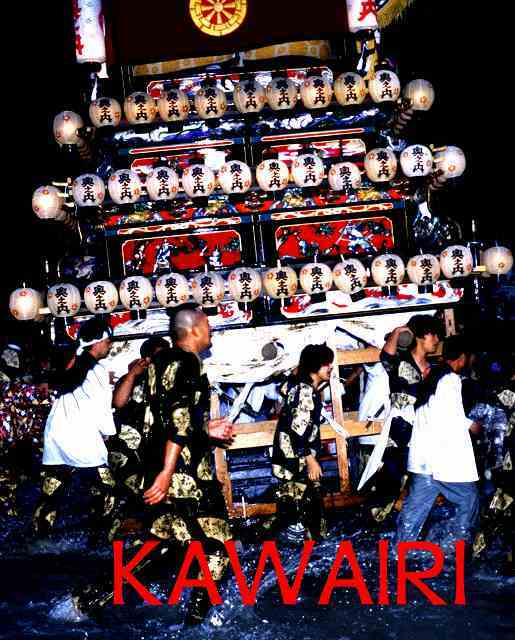 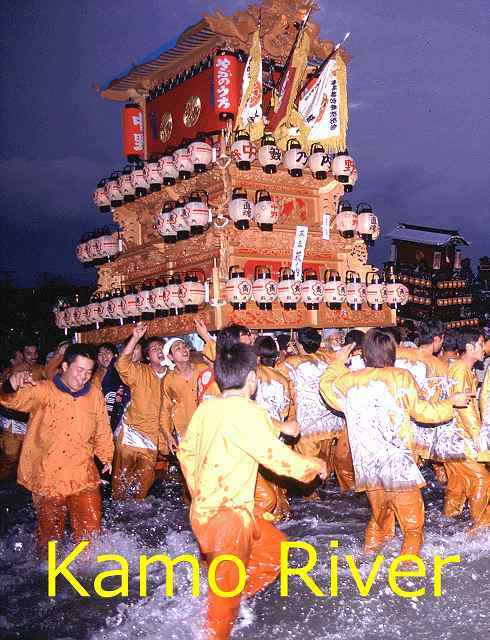 Its highlight is river crossing (kawairi) in the evening when tens of festival floats (danjiri) and the mikoshi cross the Kamo River. 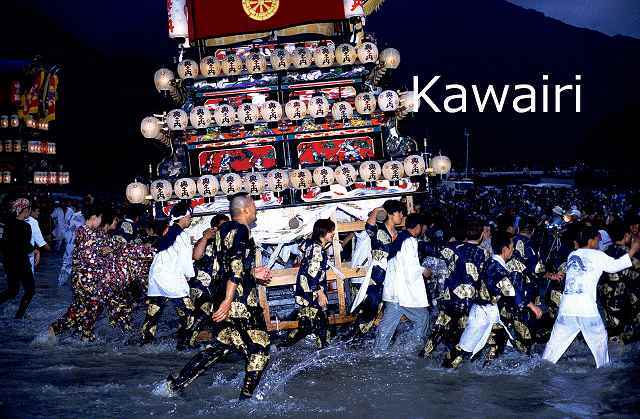 The mikoshi is gorgeously decorated with dragons embroidered in gold thread. 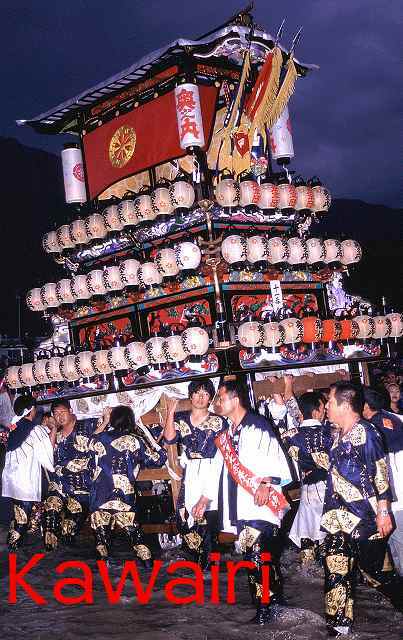 The dragon is believed to bring the rain that will produce a good harvest. 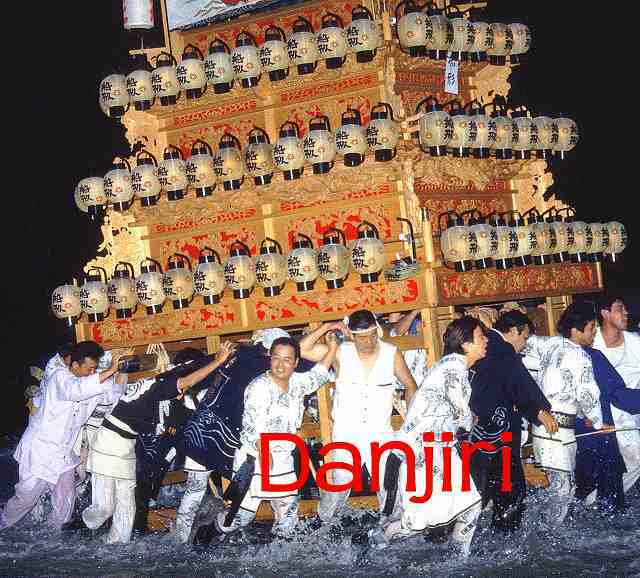 The danjiri are adorned with paper lanterns which create a beautiful and mystical atmosphere in the darkness. 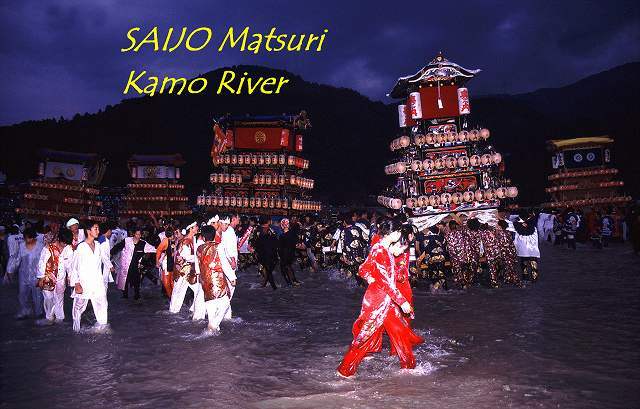 The origin of this festival is unclear, but it can be found on some documents dating back to 1753.